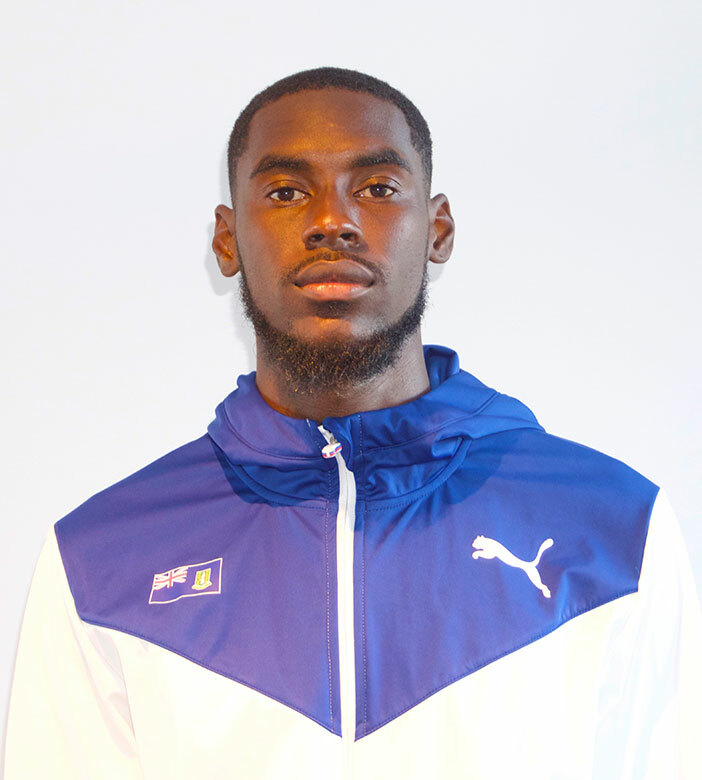 Kyron McMaster became the territory’s first athlete in its 28-year history of participating in the Commonwealth Games to win an event heat, when he made his season and games debut advancing to Thursday night’s 400m hurdles final with the fastest time of the competition. 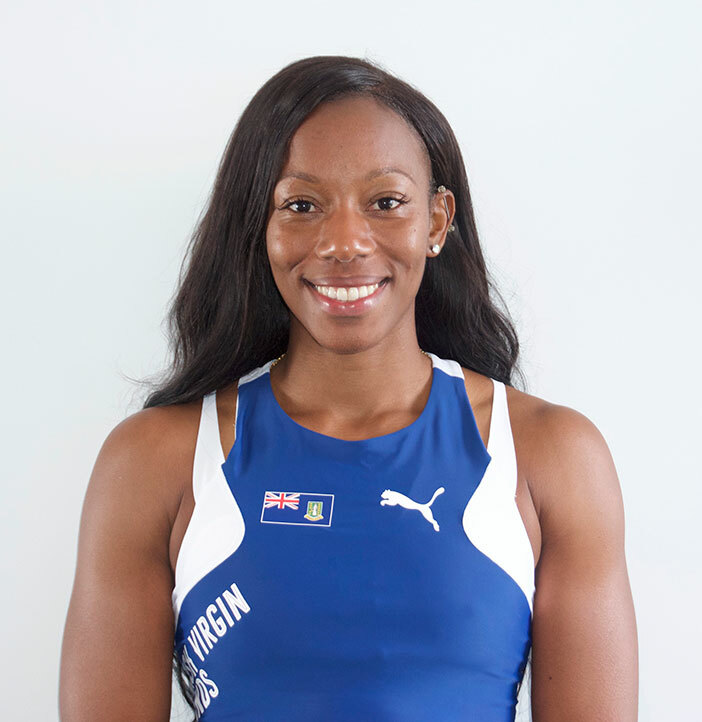 In the process, McMaster, 21, also became the first BVI male finalist in its Commonwealth Games history and the first track finalist since two times finalist Tahesia Harrigan-Scott 100m fifth place finish in the 2010 edition, matching her 2006 placing. McMaster, running in his first race in the competition in Gold Coast, Australia, since winning the Diamond League Trophy last year then losing his coach only coach Dag Samuels during Hurricane Irma, powered to victory from lane eight with a time of 48.78 seconds, the only performer breaking 49.00, in the two heats. 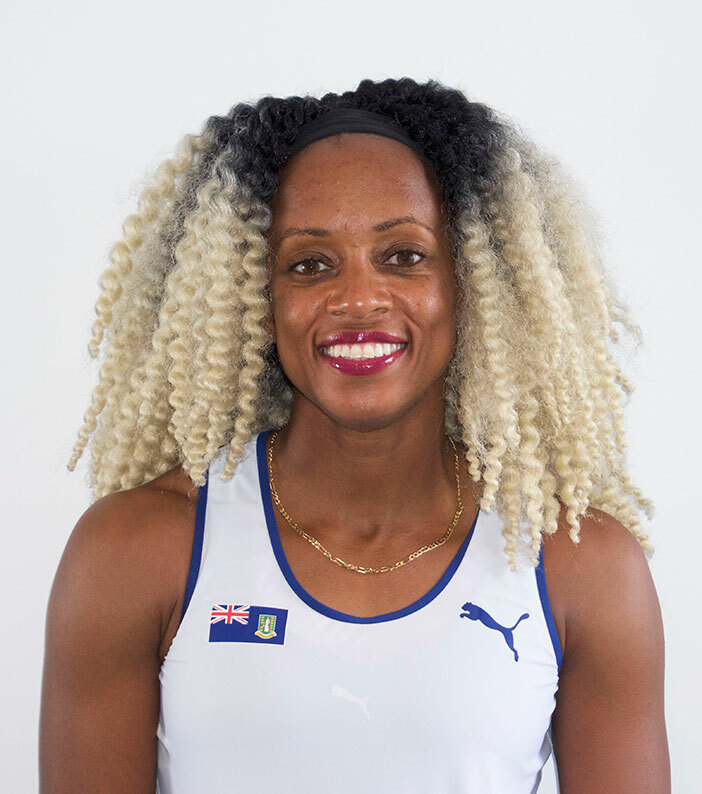 Tynelle Gumbs made her debut a memorable one, finishing seventh in the hammer throw by cracking the 60m barrier with a new national record and becoming the territory’s second finalist and fourth in its history. Gumbs who joined McMaster in this games as a finalist and Harrigan-Scott and Chantel Malone as past finalists, uncorked a 60.97m (200’0¾”) effort on her first attempt then followed up with 60.80m (199’5¾”). She also had a 59.88m (196’5½”) all exceeding her previous best of 59.30m (194’6¾”). Her 200 feet throw is a new OECS record. Ashley Kelly had a non-advancing fifth place finish in her 400m semifinal heat on Tuesday, finishing in a season’s best 53.00 seconds. She ran 53.45 seconds to finish third and advance to the semis. Seeking to become a three times finalist, Harrigan-Scott—in her fourth Commonwealth Games—was eliminated in the 100m semifinals, after running 11.63 seconds to place seventh in her semifinal. She ran 11.64 to advance. In field events, strongman Eldred Henry was 11th in the shot put final, after tossing the 16-pounds ball 18.19m (59’8½”) matching the same distance he had in the qualifying round. A hamstring injury in the 400m ruined Khari Herbert’s games. The BVI’s first medal at any level of the Commonwealth Games came during the youth edition last year in Nassau, Bahamas. 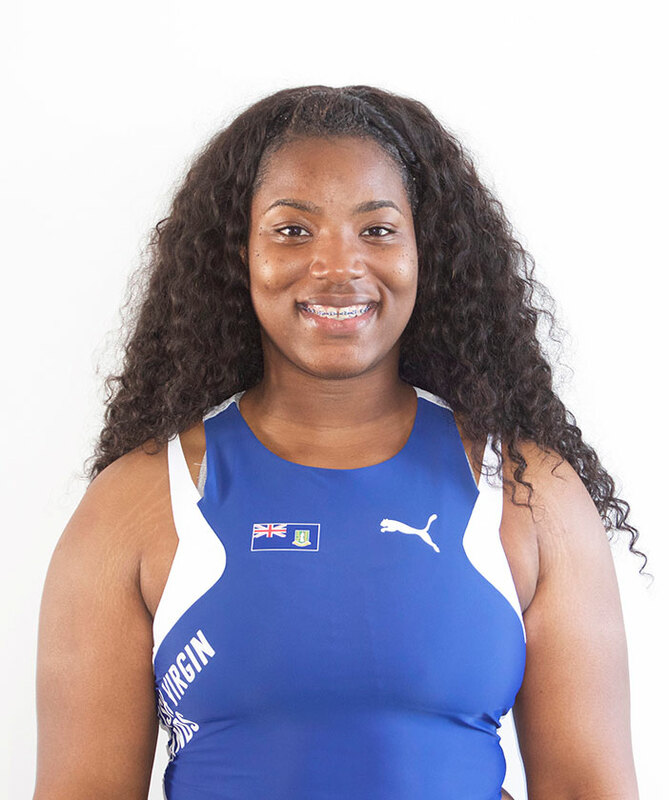 Djimon Gumbs was the first medalist when he claimed discus throw bronze, then was followed by Beyonce DeFreitas, who won 200m silver. In collegiate action, Barton County College freshman Adriano Gumbs won his 400m to place sixth overall, breaking 48.00 seconds for the first time in the process, competing in the Don Kirby Tailwind Open in Albuquerque, New Mexico, Gumbs had a personal best time of 47.54 seconds and moved to No 6 on the BVI’s All-Time List. His previous best was 48.42. Clemson sophomore Lakeisha “Mimi” Warner made her collegiate 100m hurdles debut at the Crimson Tide Invitational in Tuscaloosa, Alabams, with a time of 15.68 seconds. The and 400m hurdle specialist, finished fifth in her heat, with a time that’s No 6 on the territory’s All Time List. Central Arizona College sophomore Tarique Moses, contributed a second leg carry to his team’s 4x400m relay, that was sixth overall in the 39th Sun Angel Classic in Tempe, Arizona, with a time of 3 minutes, 14.37 seconds. Houston Baptist junior Taylor Hill, helped her 4x100m team to a fifth place finish with a lead off leg in the Houston Alumni Invitational in 48.32 seconds. ASA College sophomore Ronique Todman equaled his 200m personal best of 21.22 seconds at the Miami Hurricane Alumni Invitational in Miami, Florida, while winning his heat. He was fifth in his 400m heat in 49.12 seconds. Teammate Z’Niah Hutchinson, was second in the high jump with a 1.52m (4’11¾”) effort and was eight in the 400m in one minute, 03.13 seconds. Middle schooler Adaejah Hodge pulled of a treble at the Discovery High School Invite in Decatur, Georgia. in the 11-12 division. She won the 100m in 13.21 seconds, the 200m with a personal best and meet record time of 26.16 seconds, then added another personal best and meet record in the 400m with a time of 59.84 seconds.